The first hull in Numarine's 78HTS Sportfly series, created in partnership with Furrion, will be on display at the Palm Beach International Boat Show next week. Named Adonis, the 23.98 metre yacht was sold in May 2017 to a client from Hong Kong, but the yacht will be based in the US. 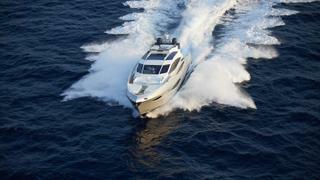 Designed by Furrion, the 78HTS series is an evolution of the popular Numarine 78HT. 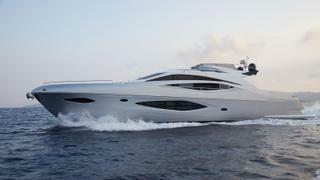 The 24 metre yacht boasts a redesigned superyacht sundeck, complete with a central helm station and four reclining sunpads. 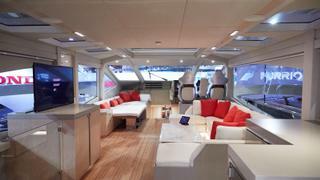 Cutting edge technology on board the Numarine 78HTS Sportfly includes a "virtual concierge" called "Angel", which uses facial recognition and intelligence that "responds to your every move," the yard said. Created by Furrion, Angel is able to deliver daily news bulletins, place orders with the chef and even guide guests through a yoga workout. It is built into a number of interactive mirrors on board, which function like large tablets, as well as a smart speaker, which allows the user to alert the system using the greeting: "Hi Angel." 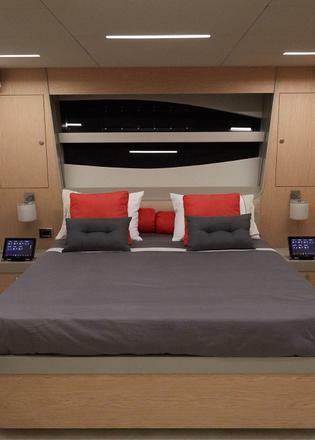 The yacht is also fitted with a smart energy management system, designed by Furrion, that allows the yacht to operate silently at anchor all day with only a brief use of the generators to recharge at midday.